The spotlight's on the many talented musicians from the Tri-State past and present. The show begins with legendary guitarist Lonnie Mack and ends with boogie-woogie wonder Ricky Nye. You'll also hear from Sonny Moorman, the Kelly Richey Band, and Noah Hunt. Plus Jimmy McGary's live performance in the WVXU studio in 1988 doing "See See Rider." There's also songs by local blues legends H-Bomb Ferguson, Big Joe Duskin, and Pigmeat Jarrett. What's the 4th of July weekend without a little taste of the blues? On tonight's show, you'll hear from Albert Washington, the Rebirth Brass Band, and k.d. lang. And be sure to put on your August calendar a couple of blues festivals. There's the Cincy Blues Fest down at Sawyer Point on Friday, August 1st and Saturday, August 2nd, plus the free 16th Annual Lebanon Blues Festival from 11am to 11pm on Saturday, August 2nd, in historic downtown Lebanon. They'll also have 150 historic cars on display in their car show. 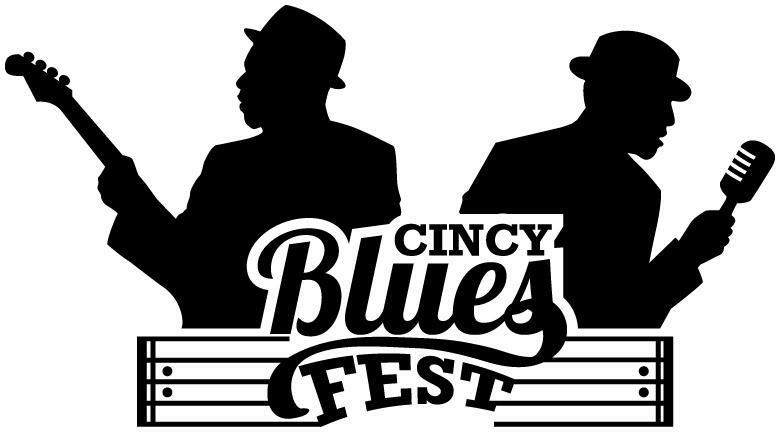 Volunteers needed for Cincy Blues Fest! Cincy Blues Fest is looking for volunteers to help out with a shift or two on Friday, 8/1 or Saturday, 8/2. You can sign up via volunteers@cincyblues.org or leave a message for Marschelle Schauble on the Cincy Blues Society voice mail: 513-739-2583. More information is also on the Cincy Blues Fest volunteer page. 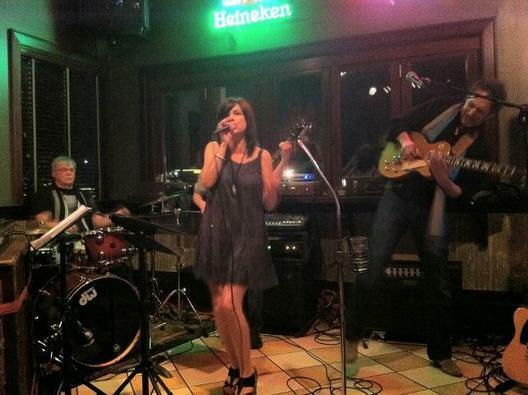 The Blues Merchants with vocalist Amy McFarland will be performing at the Rail House in Glendale on Friday, June 27th from 7-11pm. Tonight's show begins with Harry Connick, Jr, "City Beneath the Sea" from his 2013 release, "Smokey Mary" on Columbia. The first set of the program ends with Billie Holiday's "Solitude." During the second set you'll hear Joe Cocker and from Columbus, Ohio, Tony Monaco. Roy Orbison, Dr. John and Tom Waits songs are in the 3rd set, and this blues show ends with classic Delbert McClinton and his 1990 song "My Love is Burnin'." This week's program begins with Gregg Allman's "Midnight Rider." You'll also hear classic Billie Holiday, blues legends Albert King and Lonnie Mack, plus George Thorogood & the Destroyers. Looking ahead, the Cincy Blues Fest is around the corner with music along the Ohio River in downtown Cincinnati on Friday and Saturday, August 1st and 2nd. Featured national acts include Jarekus Singleton, Selwyn Birthwood, and Guy Forsyth. There's a refreshing variety of styles in the songs you'll hear in this blues show. From beginning with Junior Wells' song "Tobacco Road" to Take Six, and Joey DeFrancesco. There's a taste of New Orleans with Irma Thomas, Aaron Neville, and Dr. John. And the last set features Charlie Musselwhite, who was inducted into the Mississippi Musicians Hall of Fame in December, 2012, and the last song is "Talk about Suffering" by the Blind Boys of Alabama. The first set of this blues program includes a song by Bobby "Blue" Bland who was inducted into the Rock 'n Roll Hall of Fame in 1992. Included during the rest of the show are legendary musicians like Dr. John, the Allman Brothers Band, and Albert King. You'll also hear "Gotta Serve Somebody" by Bob Dylan from the Sopranos soundtrack. This Saturday evening's show begins with J.D. Souther who's been featured in the "Nashville" television series. You'll also hear from local musicians Kelly Richey and the Blues Merchants. There's also songs by Koko Taylor, John Mayall, and Ike & Tina Turner. And the show ends with personal favorite, Tom Waits, singing "Shiver Me Timbers" from his "Heart of Saturday Night" album. This week's Blues show starts out with some of the ladies of the blues: Eden Brent, Renee Austin, Sista Monica and Irma Thomas who's the Soul Queen of New Orleans. From there, you'll hear BB King & Eric Clapton on BB's classic, The Thrill is Gone. Since Peter Frampton's coming to the Horseshoe Casino on June 22nd with the Doobie Brothers, there's a phone interview that Brian O'Donnell did with him in April and also one of Frampton's songs from his album, Now. And we'll end with two musicians who are coming to the Taft Theatre on July 1st, John Hiatt and Robert Cray. On this Armed Forces Day, a program featuring some well-known musicians as well as some you may not be familiar with. The show begins with the Doc Robins Band from Virginia and vocalist Lisa Mann from Oregon. These folks are followed by Van Morrison and a personal favorite, Johnny Adams from New Orleans. You'll also hear from Vinx, Chet Baker, Diana Krall; and closing the show, Gov't Mule with Steve Winwood. This week's Blues show starts off with music from Alex Jenkins & the Bombers, Greg Schaber & High Street, and Kelly Richey. You'll also hear from the talented musician/producer T-Bone Burnett, Lonnie Brooks and a personal favorite George Thorogood. The last set features guitar legend Eric Clapton and Nashville vocalist Jonelle Mosser at Clearwater's Great Hudson River Revival live. The Whiskey Shambles have been around for about 18 months, but they have the heart, soul, sound, and accolades that one would attribute to band with a longer history. Two days of great bbq, music and family fun will be happening at the Buckeye BBQ Fest on Friday and Saturday, May 16th and 17th, at the Square in Union Centre in West Chester. Hours are 6-11pm Friday night and 11am-11pm Saturday. The Buckeye State BBQ Championship has been relocated to downtown West Chester where dozens of the top BBQ Teams in the nation will return to compete in the Buckeye State BBQ Championship. This week's Blues show that airs at 11pm begins with "Mean Old Bedbug Blues" by Lonnie Johnson that he recorded 8/11/27 in NYC. Dean Alger has written a new book about him, "The Original Guitar Hero & the Power of Music: The Legendary Lonnie Johnson, Music & Civil Rights." He'll be signing copies at the Bookseller on Fountain Square on Friday, 5/2 from 7-8:30pm. 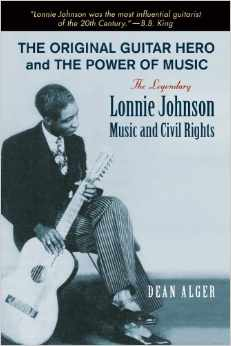 Dean Alger's written a book about Lonnie Johnson called, "The Original Guitar Hero & the Power of Music: The Legendary Lonnie Johnson, Music & Civil Rights." Coming out late this month, and Mr. Alger will be in Cincinnati for a booksigning at the Bookseller on Fountain Square on Friday, 5/2 from 7-8:30pm. This week's blues show is a kaleidoscope of music from the opening song with BB King and Van Morrison to Jorma Kaukonen, the Bluebirds, and finally ending the show with Billie Holiday's "My Man." Saturday night at 11pm, this week's edition of The Blues will feature The Goshorns, Ricky Nye, and the Claudettes who will be performing at Arnold's on Sat, 4/19. You'll also hear a power set with blues legends Albert King, Stevie Ray Vaughan, and Luther Allison. There are also a couple of songs by Shannon Curfman who appeared on Kid Rock's cruise last month and EG Kight who's been to Cincinnati any number of times.